I made a visit to TNT Post Office last month to pick up a couple of Tour de France 2010 Stamps along with First Day Covers. 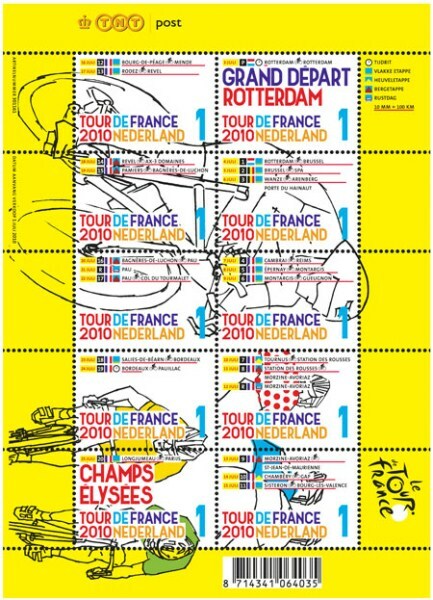 The stamps show various stages of the race beginning with the First Stage in Rotterdam, the Netherlands. 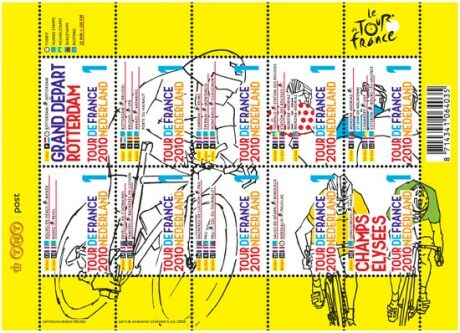 Tour de France 2010 Stamps, issued on July 01, 2010.